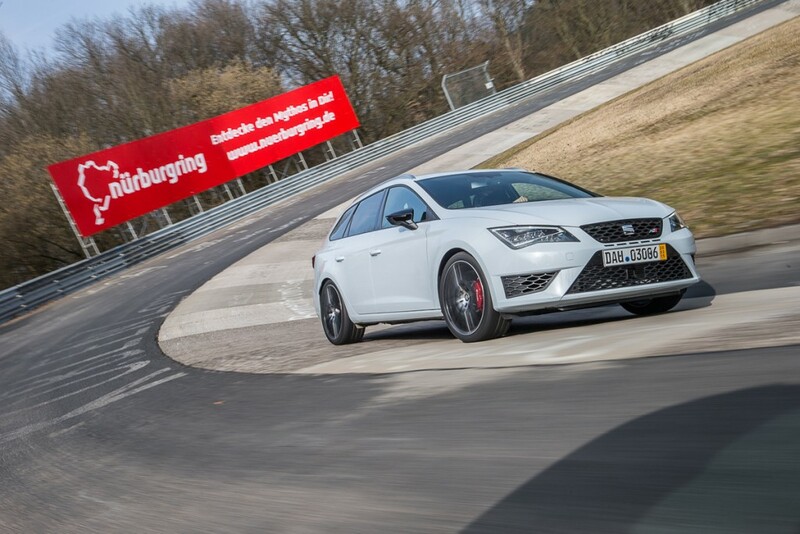 With a ground-breaking best time of 7:58.12 minutes the SEAT Leon ST Cupra is the fastest estate car around the Nürburgring Nordschleife. The powerful estate car makes its world debut at this year’s Wörthersee Treffen in Austria and makes the hearts of the expected 200,000 car fans and tuners from a host of different countries beat faster. Showcasing a total of five impressive variants from the Leon range, SEAT will travel from Martorell in Spain to Reifnitz on Wörthersee , some 1,515 kilometres away. On 13th May, there will be 280 hp rolling through the small town of Reifnitz on Wörthersee, where the SEAT Leon ST Cupra will celebrate its debut at the legendary meeting. The front-wheel drive car has proven its sporty performance with its groundbreaking record time of 7:58.12 minutes around the Nürburgring Nordschleife, achieved for the first time by the Spanish racing driver and SEAT brand ambassador Jordi Gené. “It was an indescribable feeling to get the best out of this car and to be the first to achieve this record,” said Jordi Gené. 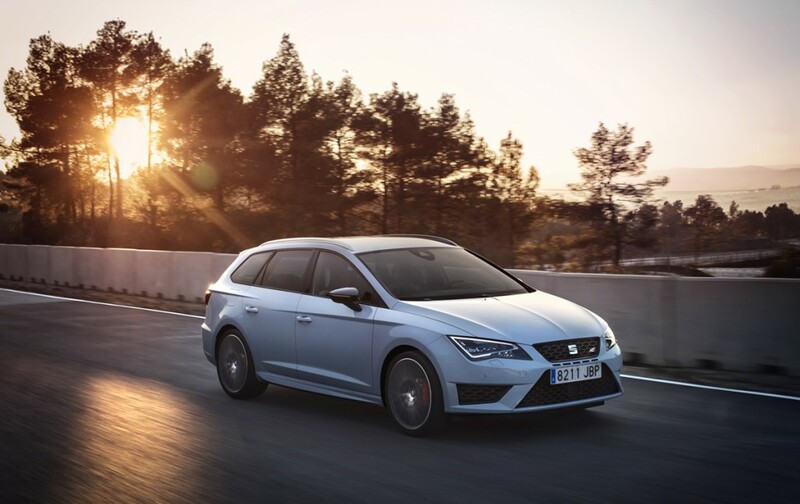 The sports tourer benefits significantly from the Limited Front Slip Differential (VAQ) of the SEAT Leon Cupra and the 6-speed manual gearbox – systems that enable it to ensure a secure grip on the road, even under difficult conditions. 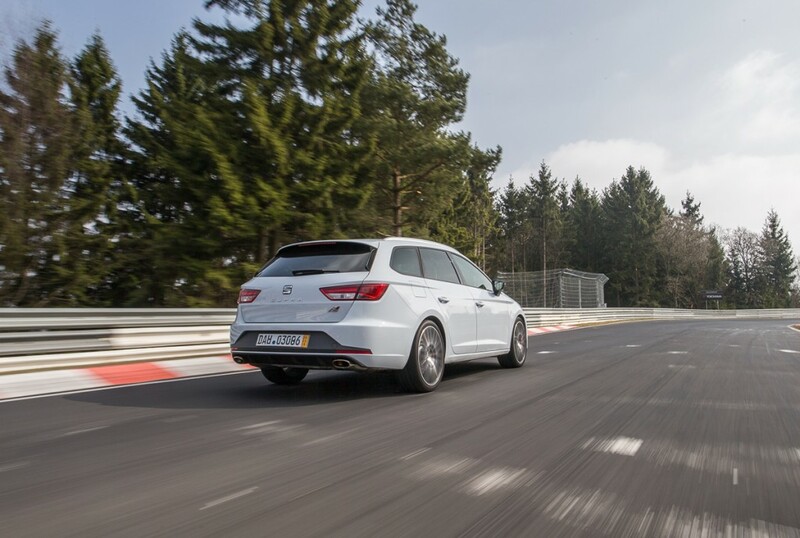 “The Leon ST Cupra reinforces that an estate car doesn’t have to be a compromise. This record time is not only another symbol of our claim ‘Technology to Enjoy’, but also sets new standards. 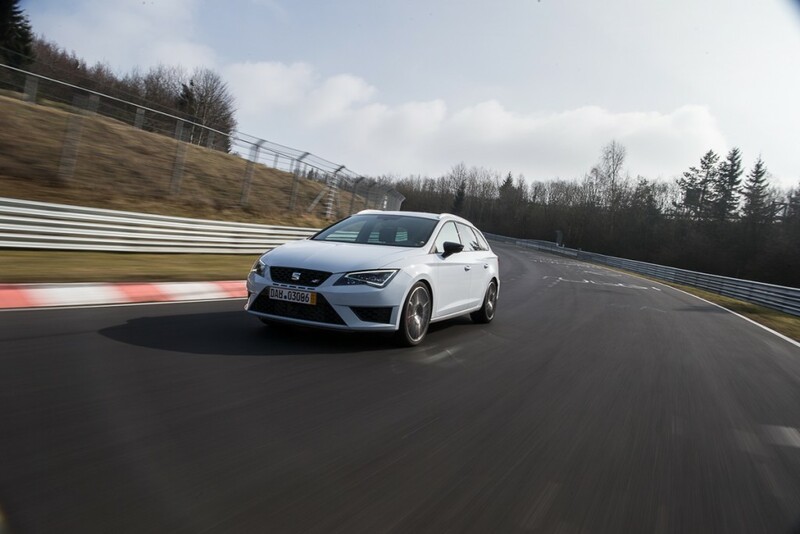 The SEAT Leon ST Cupra is a sports car for the whole family,” said Dr. Matthias Rabe, SEAT Vice President for Research and Development. At this year’s cult event, the front-wheel drive car will also be presented with the “Black” Performance Pack. Painted in Dynamic Grey, it is sure to cut a dynamic figure with its 19-inch alloy wheels, its BREMBO 4-pistons high-performance brake system and body-colour side flares. Through its sublime blend of power and comfort, the SEAT Leon ST Cupra achieves a perfect balance which appeals to both the heart and the head not only is there space for the whole family, the powerful 280 hp engine also delivers thrilling performance. Traditionally, SEAT shows something extreme at the Wörthersee Treffen and this year is no exception. Austrian racing driver Mario Dablander, who is a touring car racing driver in the 2015 SEAT Leon Eurocup, will bring his SEAT Leon CUP RACER to the event after the race in Portugal. 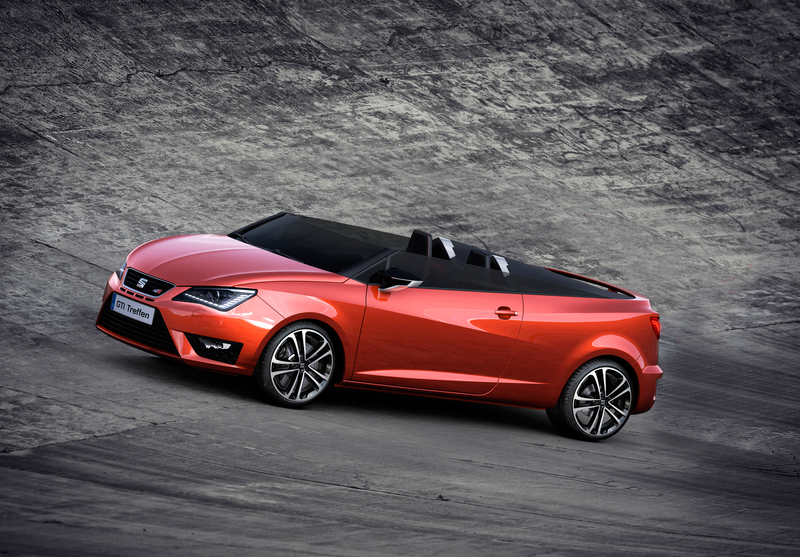 This year, SEAT is presenting two particularly attention-grabbing models in Dynamic Grey and Blanco Nevada paintwork. The SEAT Leon SC Cupra provides visual impact with the “Performance Orange” colour pack. The three-door sets sporty accents with the orange front grille, colour-coordinated mirrors and orange rims against the flat grey paintwork. In addition the high-performance brake system, along with the 19-inch high-performance tyres and side flares likewise deliver a strong presence. The Leon 5D Cupra is no less impressive. The Blanco Nevada colour concept, in combination with the Black Line package, gives the model a mean look. Particularly eye-catching are the entry sills at the front, the rear side spoilers and the 19-inch alloy wheels painted in high-gloss black. Beyond their sporty design and 280 hp performance, both model variants are also optionally equipped with the well-known highly innovative assistance systems. We interviewed Jordi at the media launch of the SEAT Leon ST Cupra in Barcelona back in March. You can see the video below. 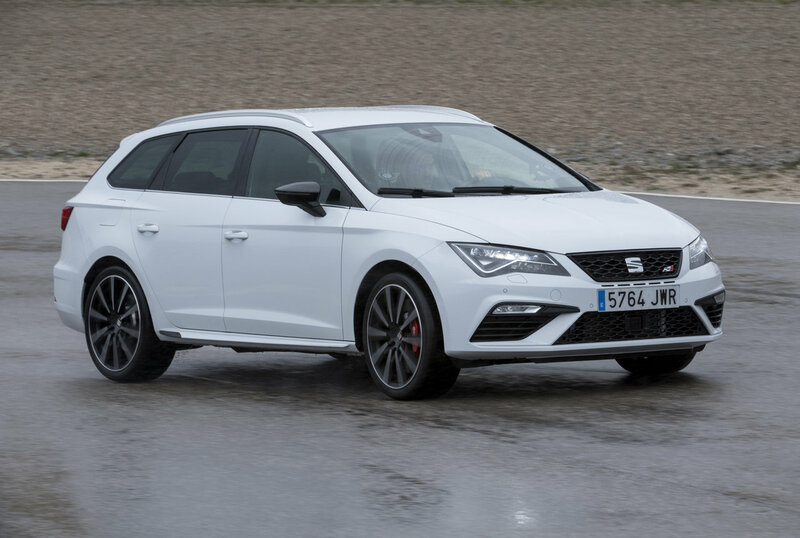 Read our full review of the SEAT Leon ST Cupra here.